In your oil field work, you require specialized service companies to help you solve complex problems and get work done. For drilling and completions, you need reliable providers to complete your projects on time and on budget. 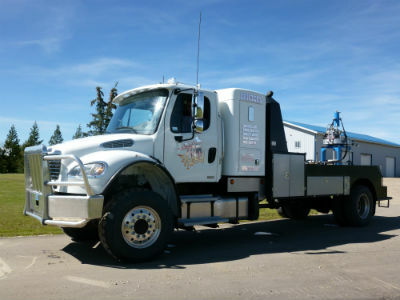 Count on Drifters Casing Service, a local company serving Grande Prairie, Whitecourt, and the Peace River district dedicated to playing a key role in your drilling and completions work. We provide services using all types of casing and tubing equipment as required by your job. Our equipment can help you work on a wide range of tubing and casing, from 2 3/8″ to 13 3/8″. We also supply slip type elevators, bail extensions, and power thread washing units for rent. We also have a large fleet of trucks that can travel to your company in every season. 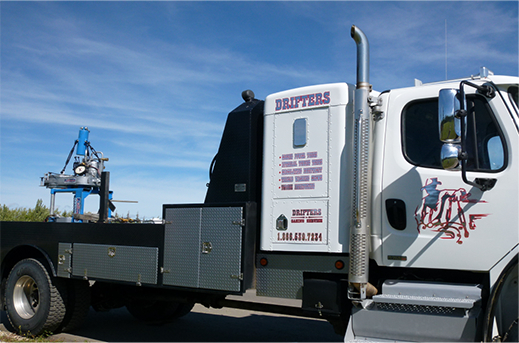 Drifters Casing Service is a local leader for drilling and completions work in Grande Prairie, Whitecourt, and other areas in Alberta. You can count on us to provide services 24 hours per day as required. No matter the service we offer you, we’re dedicated to providing you with a safe work environment. We carry an Alberta Safety Fitness Certificate and are affiliated with various workers’ compensation boards. Our 24-hour dispatch is ready to serve you. Call us today at 780-539-7234.